As in much of Thomas Broadbent’s work, he calls attention to the everyday sights people encounter. In the clutter of all the human constructs that surround people, they lose their sense of place in the world. Nature is all around, yet humans seem to distance themselves from that reality. Nature is a primal, uncontrollable force that people feel the need to tame, manipulate and make sense of. Judgement is passed on what is important to humanity and what is not, unaware or uncaring of the results. People must accept that they, too, are an uncontrollable and chaotic force. It’s the proverbial 800 pound gorilla in the room. 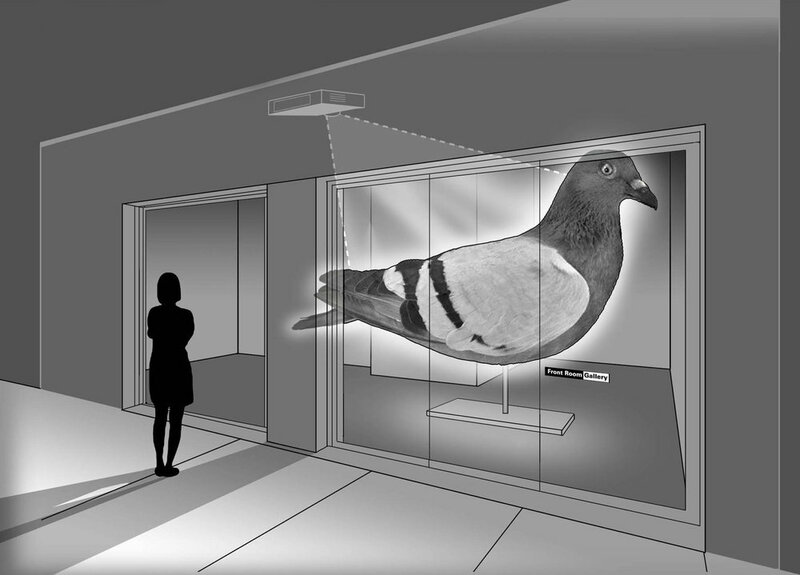 In this case, it’s a pigeon. ALSO INTRODUCING THOMAS BROADBENT'S NEW LIMITED EDITION BOX SET OF PRINTS!